Yesterday, France beat the Netherlands in a fairly meaningless international match. While the match itself didn’t matter, it did have the distinction of being the first time the French national team had returned to their home stadium since this summer’s glorious World Cup victory. To commemorate the occasion, the team threw a huge, fantastic party. It’s physiologically impossible not to see Kanté’s beaming face in light of all that adoration and not feel your heart swell. 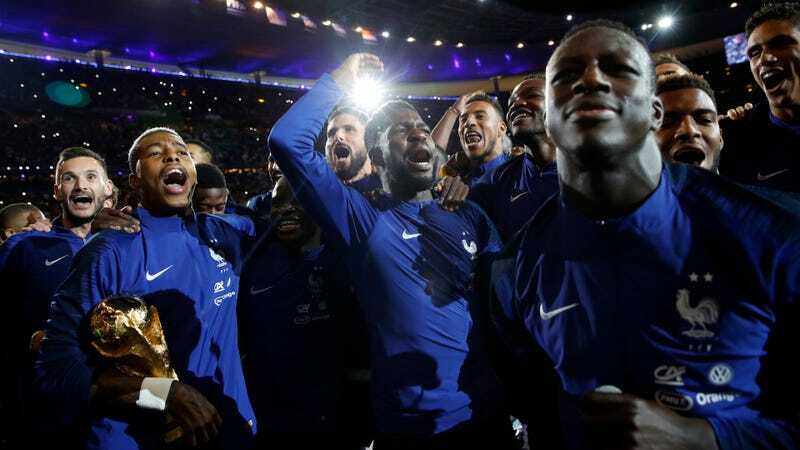 France were the coolest team in the World Cup, and it’s cool that they won and got to celebrate like this. France&apos;s Game Plan In The World Cup Final Was Just "Give It To Kylian Mbappé"